The Bonavista Peninsula is on the east coast of the island of Newfoundland, Canada surrounded by the North Atlantic Ocean. The peninsula separates Trinity Bay and Bonavista Bay and has about 30 small coastal communities. I live about 100 km. (60 miles) from the town of Bonavista and visit the peninsula fairly frequently. This is a very rugged landscape. Newfoundlanders often refer affectionately to their home province as “The Rock”. 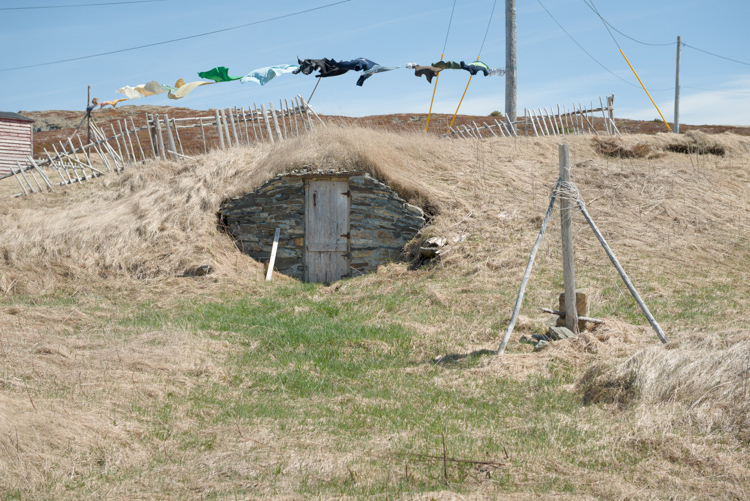 On the Bonavista Peninsula it’s easy to see why. There is very little topsoil and many exposed geological formations. You rarely see a house with a basement. Some of the oldest permanent settlements in the province were established in this area in the decades following John Cabot’s voyage of discovery in 1497. Communities were started near natural harbours where the fishing boats could shelter from the sometimes vicious North Atlantic Ocean. Homes were simple wood structures usually built by their owners; churches and schools were constructed by community volunteers. I see a simple but strong beauty in this area. There is a built environment but the natural landscape retains an equal voice.